Families of River Road in Narere are scared to leave their homes during flooding for fear of being looted. 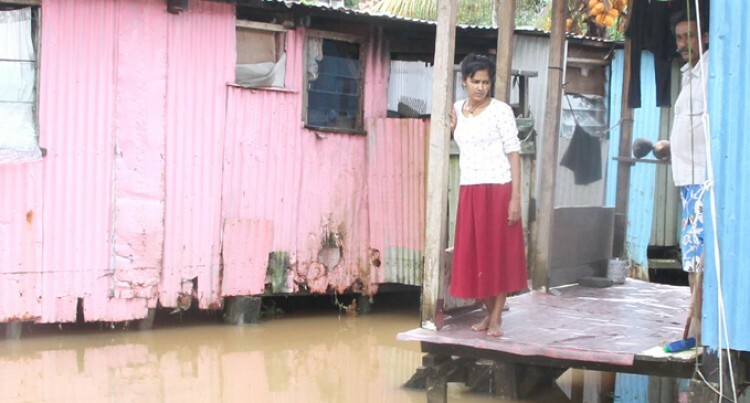 Fiji Sun spoke to some residents on Friday and they said that when there is flooding in their area, some people would take advantage of the situation and break in their homes. Virendra Singh has been residing at River Road with his family for the past five years. He said: “I am scared to leave my house when there is flood in the River Road. “I am in fear that if we leave our house and move to higher grounds, some people might break in our house. “This has been happening most of the time when it floods in our area,” he said. Another resident Ajen Kumar has been residing at River Road for the 16 years. “Whenever houses in River Road are flooded we are scared to leave our homes,” he said. Similar sentiments were shared by the River Road community president Leone Roko. He has advised the residents that males stay at the home while women and children move to a safer place. When the Fiji Sun visited the settlement yesterday, some houses were under water, while some families were cleaning their houses, some were preparing for the tropical depression weather. Fiji Police Force director of operations Tito Elo said: “We are mindful of the fact that there are some people that might want to take advantage of the situation. “That’s why our officers have been deployed. “So for those who are not wanting to move because their of property, we ask them to consider the safety and wellbeing of their family,” he said.